The third entry in Motorola&apos;s flagship Droid line of phones is now available to order for $199.99 on a two-year contract from Verizon.com. The phone is pretty spec&apos;d out, an improved 4-inch qHD screen, 1GHz dual core processor, 512MB of RAM, Android 2.3 Gingerbread, 16 GB of internal memory and an 8 megapixel camera. 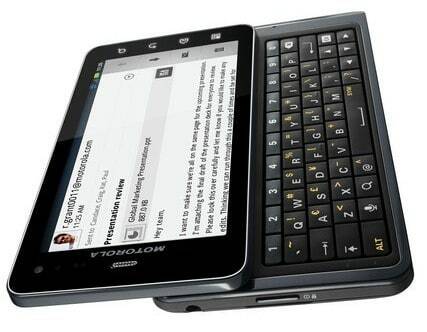 Like previous Droids, it&apos;s also rocking a slide-out ful QWERTY keyboard. One thing it does not have, unfortunately, is 4G support. The Droid 3 is expected to hit brick-and-mortar stores by July 14.